includes one Double-sided (City / Rural) 72" x 48" / 180cm x 120cm gaming mat. 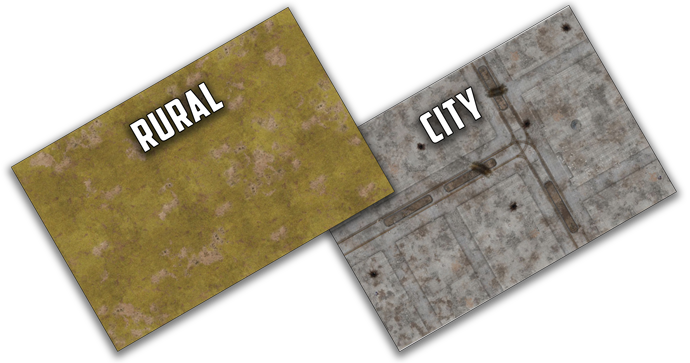 For those Flames Of War enthusiasts who lack a dedicated gaming table or simply don’t have space for one, the Double sided City & Rural Gaming Mat is the perfect solution. Within seconds it transforms the humble dining table into a full-sized (72” x 48” / 180cm x 120cm) Flames Of War battlefield. Featuring a unique double-sided design, printed in high-resolution full colour, the Double sided City & Rural Gaming Mat is ideal for representing a range of different battlefields and theatres of war. From the cities like Stalingrad, leveled by the battles of war to the vast, open spaces of the Russia Steppe the Double sided City & Rural Gaming Mat offers the Flames Of War player an unequalled level of flexibility. Made from durable neoprene, the Double sided City & Rural Gaming Mat can be rolled up for quick, easy storage while taking up minimum space. Used in conjunction with the desert terrain pieces from Battlefield in a Box range, the Double sided City & Rural Gaming Mat offers the complete solution for your gaming needs. 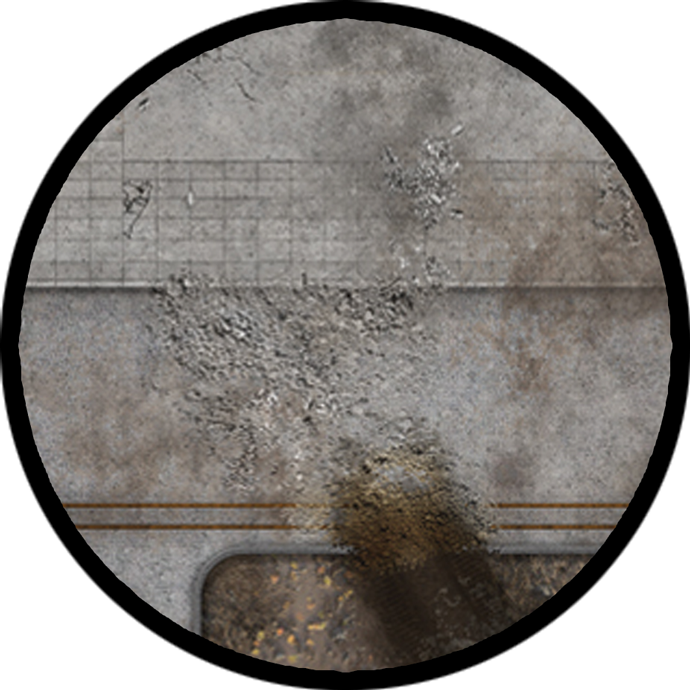 A close-up of the 'City' surface featured on one side of the Double sided City & Rural Gaming Mat. 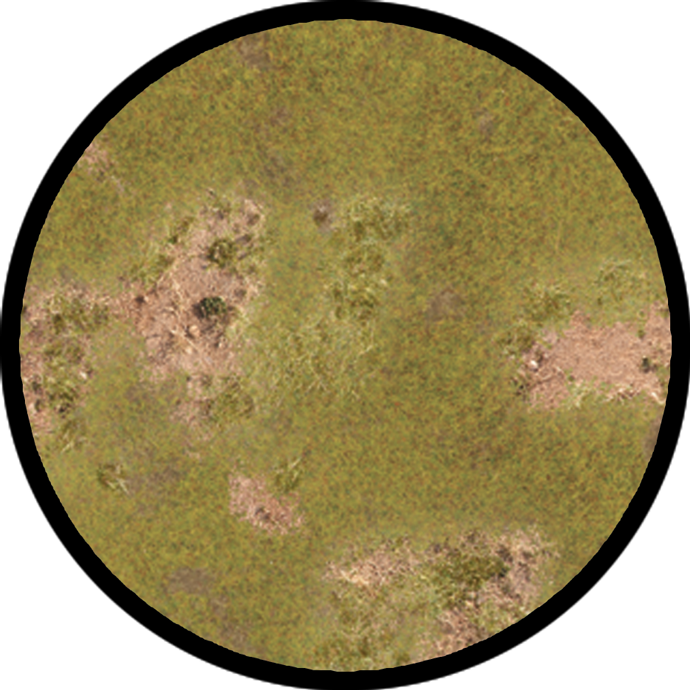 A close-up of the 'Rural' surface featured on one side of the Double sided City & Rural Gaming Mat.